An all-time favorite recipe for kids and kids at heart. 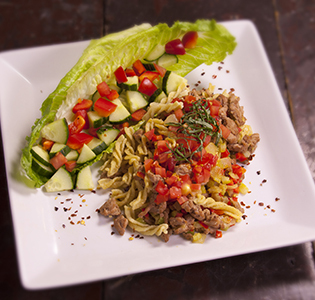 Usually considered a comfort food, Zone Pasta makes Chop Suey a balanced Zone meal. 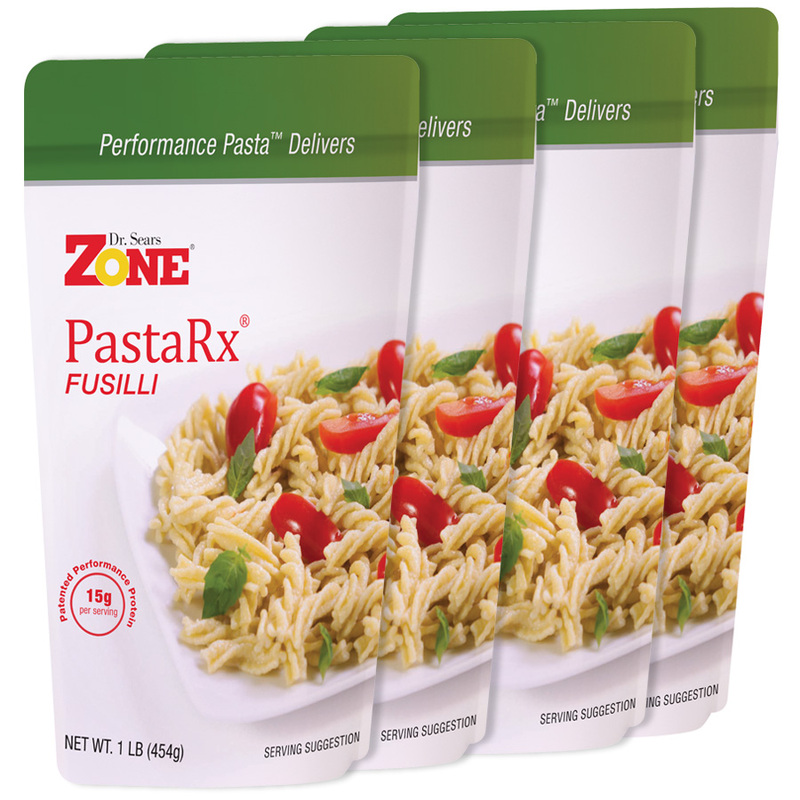 Visit our Zone Pasta section to order Zone PastaRx Fusilli. Cook Zone PastaRx Fusilli as directed. Drain and set aside. Meanwhile spray a skillet with cooking spray and sauté turkey, garlic and basil until no longer pink. Add celery, onion, peppers and 1-2 tablespoons of water, cook for a few minutes. Stir in the cooked Zone fusilli. Top with canned tomatoes and crushed red pepper. Stir well and cover and simmer for about 8 minutes. Make a small side salad with the lettuce, red bell pepper and cucumber. Dress with lemon juice and water mixture.